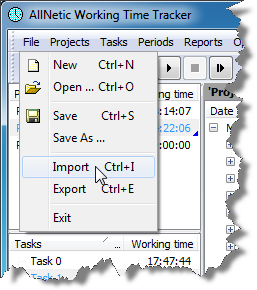 AllNetic Working Time Tracker can import data in several formats. If you cannot import data from some format, please contact us, and we will add this functionality to next version of AllNetic Working Time Tracker. To import data, choose Import command in the File menu. 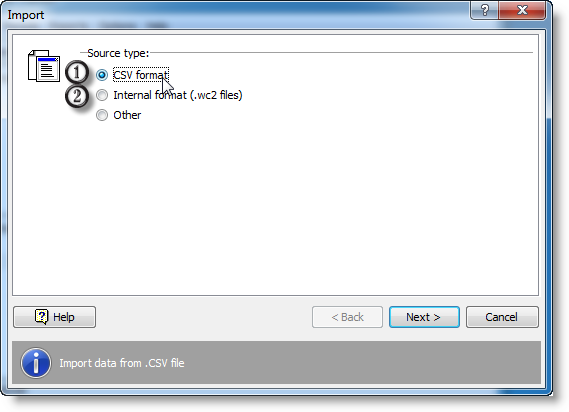 In the dialog box, choose CSV file and click on the Next button.